Student loans play a huge part in the higher education of millions of American students. There are approximately 20 million students and of those students, over 60% use student loans in order to pay their way through college and to fund their living costs. Higher education tends to be subsidized much more in other parts of the developed world, but in the US, a lot of higher education is instead subsidized by students and families. However, those who are not in the position to fund their own way through college are often eligible for help in the form of a student loan. There are a huge number of loans and which loans you are eligible before vastly differs from state to state and criteria at certain colleges. Learn more about some of the different types of student loan with our need-to-know guide. Broadly speaking, student loans are split into two categories: federal loans and private student loans. Federal loans are funded by government and private student loans by private lenders, such as state-affiliated non profit organisations, institutional loans provided by specific schools and loans from banks. Federal loans can be paid to students, or to parents. When loans are paid to students directly, there are a huge number of qualifying criteria. For example, when students are enrolled in at least half-time status, they do not need to make payments on their loan. When they drop below half-time, the loan account enters what is called a “grace period” of six months, whereby no payments have to be made for six months. After this time, payments usually begin unless the student goes back into half-time classes or more. However, if they drop below half-time again, they will not get a second grace period. Amounts paid to students can often be limited. Disabled students can often qualify for a 100% loan dischargement, provided that they meet the criteria. Loan forgiveness can also apply to teachers in critical subjects and in schools where more than 30% of the pupils qualify for a reduced-price lunch. Individuals who enter full time employment in a public service or sector position, or who serve full time in the AmeriCorps or Peace Corps, will also qualify for loan forgiveness when they make 120 consecutive loan repayments over a period of 10 years, with no missed payments. However – and this is definitely worth remembering – loan forgiveness does actually count as income by the Inland Revenue Service. Federal loans to parents tend to have much higher limits, simply because parents tend to be much more able to meet loan requirements and to pay the loans back. However, payments start immediately, regardless of whether the student is in full or half time education. 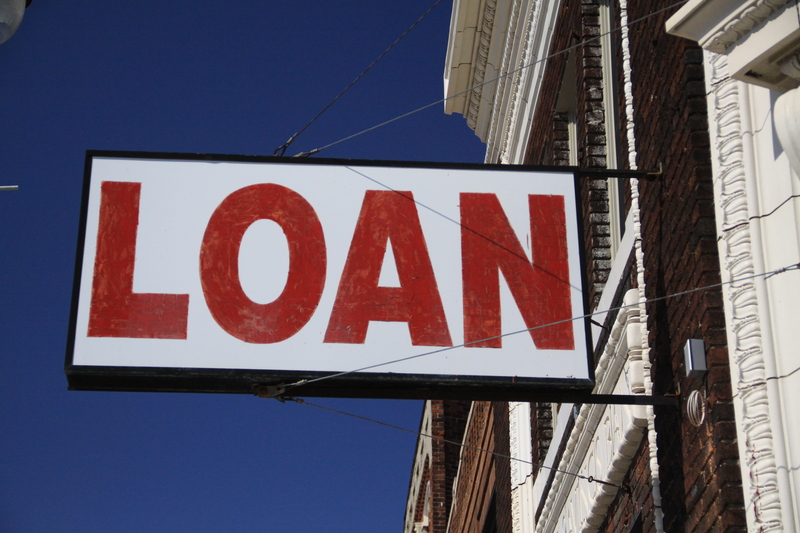 There are a huge range of private loans. Generally speaking, however, private loans can be made to either students or parents and often have much higher limits than federal loans. Payments do not usually start until after graduation and can sometimes be deferred further if the student enters a graduate or further education program – but, interest does start to accrue as soon as the loan is paid. While federal loans typically cover college tuition only, private loans can generally be used to cover tuition, computers, accomodation and board, educational materials such as books and computers, past due balances and more. Private loans do not have to be exclusive of federal loans – they can be used to supplement any federal loan that the student receives. There are a number of very specific federal and private loans that can be made directly to the parent, school or student, and that can be used as the main loan or as a supplementary loan. Stafford Loans. Stafford loans are the most common federal loan. They can be subsidized, depending on income and financial need, or unsubsidized and not based on financial need. Interest rates are typically less than 7%. Perkins Loans. Perkins loans are supplementary federal loans for students that demonstrate extraordinary or exemplary financial need. They can usually borrow up to $5,500 per year, or $8,000 per year if they’re in a graduate program. Interest is fixed at 5% for Perkins loans and repayment does not start until 9 months after the student completes their studies. Parent PLUS Loans. Parent PLUS loans are exclusively for parents, adoptive parents and in some cases, stepparents of a student. These loans are not based on financial need and instead eligibility depends on credit history. For those with a credit history that isn’t quite good enough to qualify, co-signees can sometimes be used in order to guarantee the loan. There are no lending limits with a Parent PLUS loan and instead, parents can borrow up to the value of their child’s attendance at the school (rates determined by the school), minus any other aid (not loans) received. Payments can commence as soon as the loan is paid, but in some cases can also be deferred until six months after the student drops below half-time studies or completes or withdraws from their program. Grad PLUS Loans. Grad PLUS loans are available for professional students in half-time studies, graduate students or students in a graduate program. They can borrow up to the total cost of their education, minus any aid (not loans) received. Consolidation loans are a form of loan designed to help you extend your repayment to 30 years, rather than 10 years. Extending repayment will usually increase interest rates but this can be a really useful way to lower repayments if you are on a low income. Institutional loans are similar to private and alternative loans and are simply additional aid that is provided directly from your school. Private loans are similar, but are provided by banks and other financial institutions instead and these are usually incredibly useful for students who do not qualify for other forms of financial aid. We’ve still got a lot to tell you about student loans – so come back soon for part two of our guide.